As the official mover of the Gary Sinise Foundation, northAmerican agents have transported this specialty furniture to numerous Gary Sinise Smart Home recipients, with 11 deliveries already scheduled in 2015. 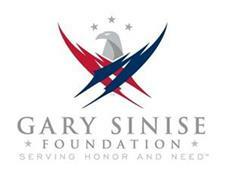 For more information on the Gary Sinise Foundation, visitwww.garysinisefoundation.org. 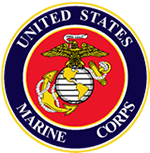 Moda’s Moving founder and owner Joe Tranisi is a proud veteran of the United States Marine Corps. Although he left the service for a civilian career in 1995, our allegiance to our fellow US Service men and women, couldn’t be stronger! We are always looking for ways to work with and for active duty service personnel, and fellow veterans in within our company, and in our community. We feel that the leadership traits taught in the military service directly apply to being a valued business partner, namely: Dependability, Integrity, and Initiative. At Moda Moving, community is a big part of who we are. That’s why we have joined forces with Habitat for Humanity ReStores in a unique program that helps Habitat ReStore’s keep their resale outlets stocked with merchandise so that Habitat for Humanity can continue their much-needed mission to help those less fortunate realize home ownership. The Go North Habitat for Humanity ReStore Donation program is the first national donation program between Habitat ReStore resale outlets and the moving services industry. As part of the northAmerican family, we are proud to be a supporter of Habitat for Humanity ReStores. Why donate through the Go North Habitat for Humanity ReStore Donation program? Lower move cost. By donating unwanted items, you reduce the weight of your shipment, thus reducing your move cost. Taxable deduction. For your donation, Habitat International will send you a donation confirmation email you can use to lower your annual tax obligation. Help your community. Home owners make good neighbors. Feel good knowing your donation is going to work helping Habitat build homes for worthy families in your community, and across the country. Donating to Habitat for Humanity through Moda Moving couldn’t be easier. Notify us of your desire to donate at your in-home estimate. We will provide you with the Go North Habitat Donation Inventory form, which will need to be completed before your move date, as well as donation stickers to place on the items being donated**. Complete the Go North Habitat Donation Inventory form. You can complete the form electronically and email it to us or print it out and complete manually. Give us completed form. You can complete the form any time before your move and email to us, or provide a printout of the completed form to your driver on move day. Within 90 days, you will receive a charitable contribution confirmation email from Habitat International that you can use on your taxes. Help Moda Moving and Habitat for Humanity help communities through their home building and home ownership programs, and help yourself with a lower move cost and tax deduction. For more information on the Go North Habitat ReStore Donation Program, or contact Moda Moving at 1-800-940-1939. Every year, Moda Moving partners with the Toys for Tots Foundation, a national, not-for-profit organization that collects new toys for economically disadvantaged children, to provide joy and a message of hope during the Holiday Season. We are very proud of the effort of our staff for participating so wholeheartedly in this effort and making it a success. We are also thankful to our community – every year more and more residents drop off toys and gifts at our headquarters and offer to help with the effort. You are invited to drop off new, unwrapped toys and gifts at our headquarters, anytime during business hours, up until Dec 14, at which time Moda Moving trucks will take the toys to the US Marine Corps volunteers for local distribution. Toys for Tots does not publish an official list of requested toys, instead people are encouraged to donate the same gifts they would pick for their own children or young relatives. All toys should be brand new and in original packaging, and can include books, games and sports equipment. Toys collected will be distributed through local charities and to hospital pediatric wards in the Portland area. The Marine Toys for Tots Foundation is a not-for-profit organization authorized by the U.S. Marine Corps and the Department of Defense to provide fundraising and other necessary support for the annual Marine Corps Reserve Toys for Tots Program. Now in its 64th year, Toys for Tots provides joy and a message of hope to less fortunate children through the gift of a new toy or book during the Christmas holiday season. For more information, visit http://www.toysfortots.org.